My mother was 5 years-old when the U.S. government imprisoned her for three years for being a Japanese American girl living in California. She was one of 120,000 people rounded up and forced into internment camps during World War II. When I was younger, my mother shared with me her memories of this childhood. At the time, I did not hear the shame and injustice woven through her stories. It wasn’t until I was 23 years-old, when I was subjected to government sanctioned discrimination for being who I was - that I finally understood. I had been working in my dream job in New York City’s fashion industry, when one of my employer’s corporate clients called her at home to inform her that I was transgender and they did not want to work with me. I was out of a job. I learned the law at the time protected employers; the law allowed them to discriminate against me, and others like me. I woke to what social injustice was and how it impacted my ability to pay rent, buy food and support myself. It changed the course of my life. I realized I needed to go to law school, learn about the law — then fix it. When I returned to Hawaii as a public interest attorney, I worked with other community activists and allies to ensure our civil rights laws accurately reflected the values of "the people”, not the corporations. Today, corporations spend millions to elevate their voices at our State Capitol. I want to make sure the voices of the people — their concerns and their solutions — are heard. 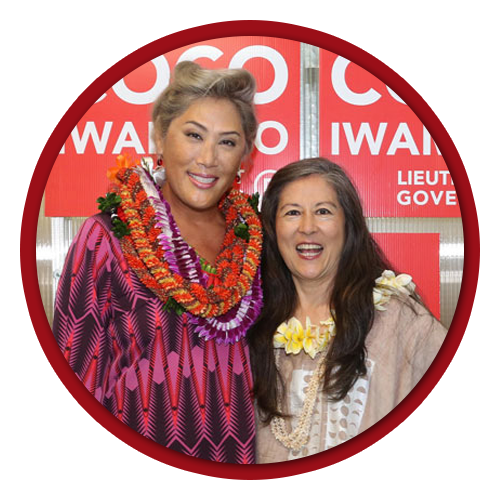 We must reclaim our democracy and fight for what we know is pono – for the aina and those who call Hawaii home. We have an opportunity to turn the Lieutenant Governor’s office into an office of the People.